The material of a dress is an important factor to consider before buying. 3 What Do Chinese Women Wear? Once upon a time, there were few choices in terms of dress fabrics. Cotton has historically been a mainstay in every woman’s closet, while silk is considered a luxury material. However, polyester is an increasingly common dress material due to its affordability and durability. When choosing between polyester and silk dresses, consider the benefits and potential risks of each type. Polyester is a synthetic, or man-made material. It is made out of terephthalic acid and ethylene glycol, which can be woven into materials of different thicknesses. Because polyester is man-made, it is widely available in numerous pieces of clothing on the market, including dresses. Silk, on the other hand, is not as popular because of its rarity. The material is derived from silkworms, and clothing manufacturers refine it through a process called sericulture. Between the two dress materials, polyester is considered the most durable, even though silk is considered one of the strongest natural fibers. Silk dresses tend to wrinkle easily, particularly when they get wet. If silk fabric does get wet or is exposed to heat, it loses its strength. Because of silk's delicate nature and required maintenance, polyester is often chosen for its resilience over silk. However, silk is much smoother and softer. The exact occasion you’re wearing the dress for can dictate the material you choose. Polyester dresses tend to be most versatile for sitting and for on-the-go. Polyester dresses can be machine-washed, requiring dry cleaning only if there are embellishments. 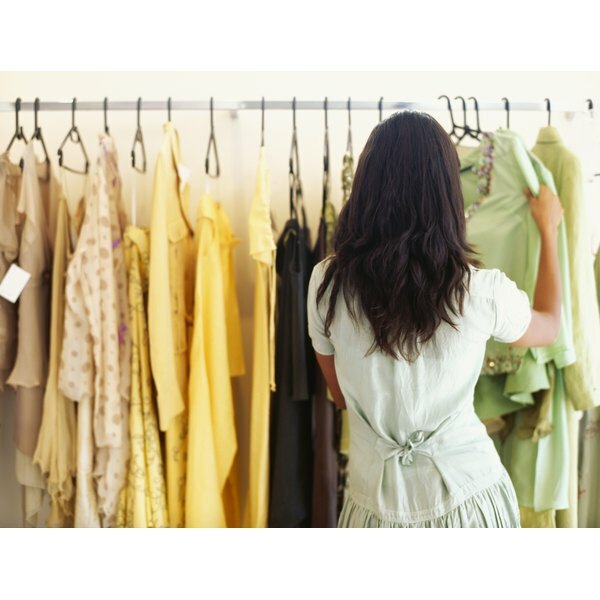 Silk dresses should always be professionally cleaned to prevent damage. Polyester and silk are both ideal for cooler weather. Both fabrics are heavier than cotton or linen. When it is hot, polyester particularly tends to stick to the skin, making related dresses quite uncomfortable to wear. If you are attending an outdoor event during the summer, silk is your better option over polyester because it is slightly lighter. Still, you might get hot quickly, so make sure you wear quality lotions and makeup that won’t sweat onto the dress and leave unsightly marks or stains. Due to the meticulous nature of silk, dresses of this material are more expensive. The more material used to make the dress, the more costly it is. This is why silk wedding dresses are among the most expensive in the fashion industry. Polyester is much more affordable because it is a man-made material. This fabric has come a long way in terms of aesthetic appeal since it first gained popularity in the 1970's. If price is your determining factor when buying a dress, then polyester may be your best bet. What Is the Difference Between Illusion & Tulle?